My kids love STEAM projects and they love holidays. And I think their love of both is for similar reasons. Both STEAM and Holidays take us away from the norm and provide a fun escape. So activities that combine STEAM and holidays? That’s bound to be a success. Activities that combine cookies and math? Even better. 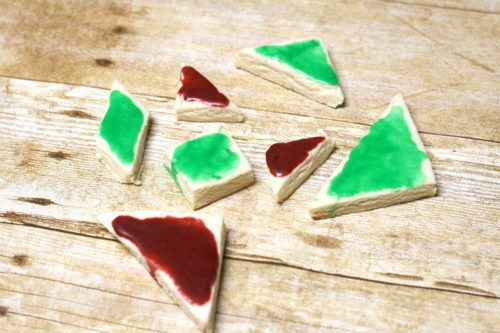 Cue Christmas Tangram Cookies. We recently bought the STEAM Christmas book and it’s amazing. 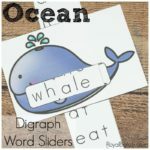 We went ahead and did one activity, but I’m saving the rest for a Christmas countdown in December! What better advent calendar than STEAM activities, right? 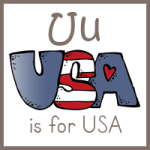 As part of the Launch special, the book is at a great discount and you get a free coloring book with purchase! But it ends 11/21! Just $9.99 right now, but only for 24 more hours! We have the Classic Tangoes but they aren’t often played with. We do have some foam shapes that they often use for the same purpose, but they don’t come together to make a square! Cookies were the perfect way to get them excited. The real fun part was decorating the cookies. I provided red and green frosting and they found sprinkles to add to the mix. Honestly, the decorating was the part they enjoyed the most! After we let the frosting set, we made a few pictures with the tangrams and we figured out how to make the square! A Christmas tree! Naturally, we had to make a Christmas tree. 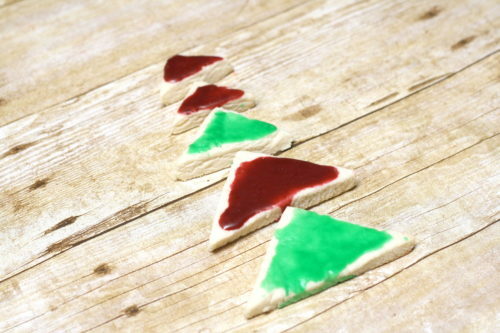 The playing with the cookie tangrams part lasted about 5 minutes, give or take. It was short lived! They just wanted to eat the cookies. 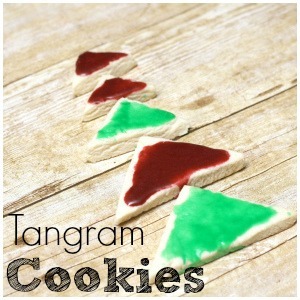 Next time, I’ll take half the dough and make regular cookies so we can actually play with the tangrams! The recipe from the book made plenty of dough for 4 sets of tangrams and more cookies, for people who don’t eat dough…which is not us. This STEAM Kids Book has 25 projects adaptable for kids of all ages, plus an advent calendar, challenge cards, and more. Don’t miss it this holiday season!